Getting our products featured in magazines is no easy thing. It takes dedication, hard work, beautiful products, high quality photography and a little bit of luck! 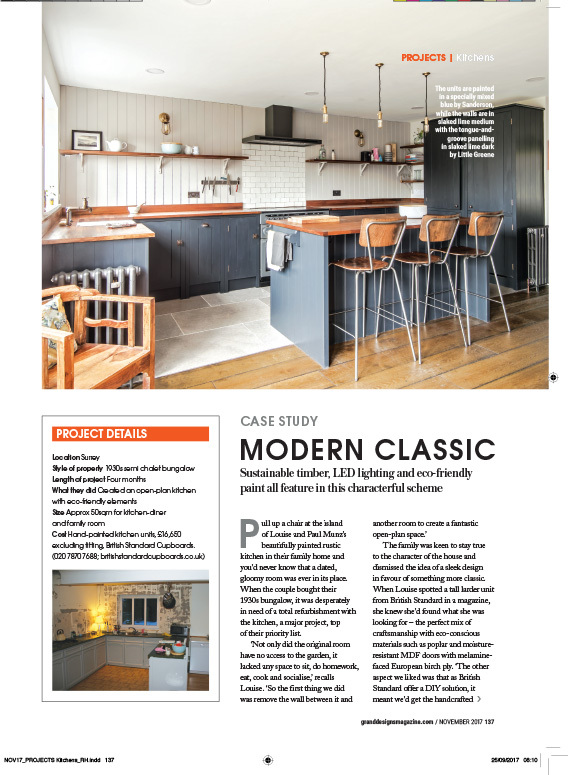 So last month when we found out that we’d been featured in not one, not two, but three renowned interiors magazines, we were over the moon! Last year, Tim and I took a trip down to St Albans to take some pictures of our Aged Oak Porcelain laid in a deVOL kitchen. We loved this space, it was open and bright but still had a lovely homely feel to it. We sent the pictures out to our press contacts, as we knew this one would be popular. One of our journalist contacts, Jane Crittenden, loved the pictures so much, she asked to visit the customers herself so that she could interview them about their house; the changes they have made and where their inspiration comes from. 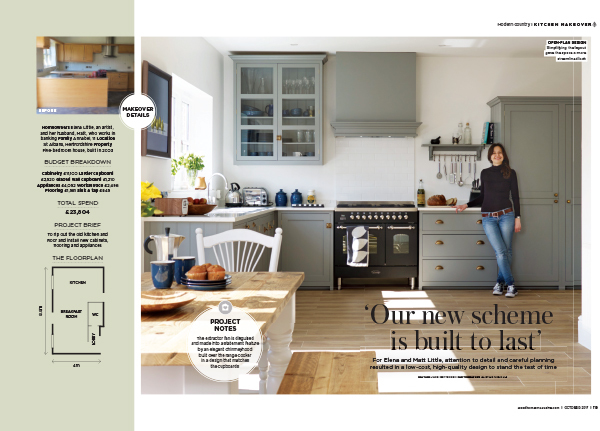 The article was featured in the October issue of Good Homes, across a four page spread, which we were delighted to see. It’s so lovely to see our flooring laid in a customer’s home, and we know others find these pictures really helpful when they’re trying to envisage how the tiles will look in their space. 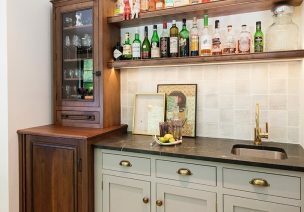 The same kitchen was also featured in Kitchens, Bedrooms and Bathrooms in their article about the most hard-wearing flooring options for kitchens. We were thrilled to see that our Aged Oak Porcelain took the number 1 spot! 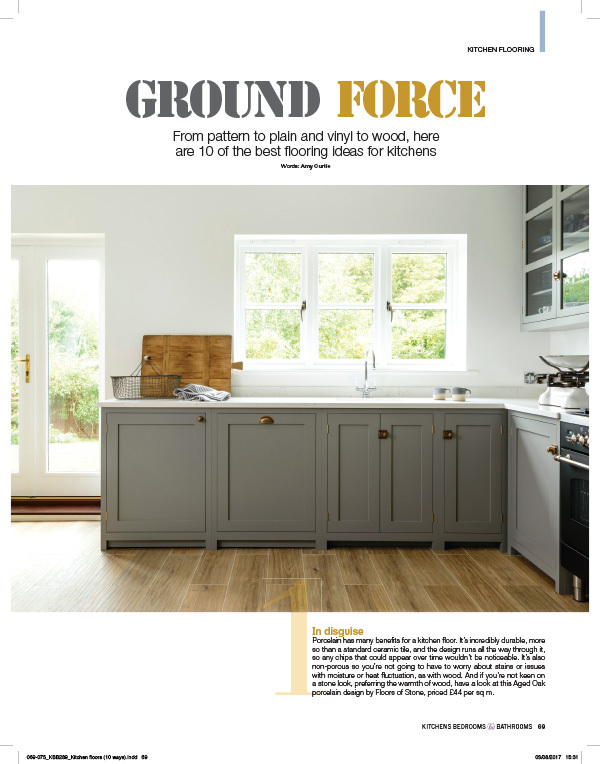 Finally, we had another mention in Grand Designs magazines (one of our favourite titles). This gorgeous kitchen had our Dove Grey Limestone laid in the busy cooking are of the kitchen, which looked amazing against the dark blue painted kitchen and warm wooden flooring in the rest of the room. 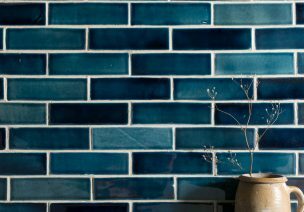 It’s so interesting to see the clever and unexpected ways customers integrate our tiles into their scheme. 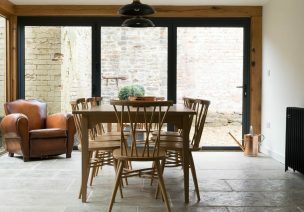 If you’d like to be considered for our next photo shoot, then please send some pictures through to our enquiries email address (enquiries@floorsofstone.com) and we’ll be in touch.